I have mixed feelings about this book. It's delivery is more impressive than its substance. It is told by an unreliable narrator in a chatty fireside style, but the narrator reveals that he wrote it over a long period and the information that he gives away and also his attitude shifts throughout the book to the other characters. The book is ostensibly about adultery, but this is a vehicle to explore wider themes of love, commitment, trust and moral character. I guess, I feel that that exploration is not the best and I'm not sure that I am all that interested in what Ford things or presents. He exposes the hypocrisy of Edwardian England right before World War I and that is not exactly hard. However, two characters, the narrator and Leonora are fascinating characters, but one character, the girl Nancy, I found unbelievable. The structure is really interesting. The technique is very good. But I don't know that Ford understood people all that well. So a very interesting book, but one that is hard to love. This is my second book by Mishima. My first was the Sound of the Waves which is a simple love story, and basically a Novella. This is very different. 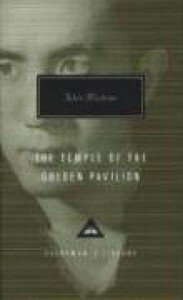 The Temple of the Golden Pavillion is transgressive literature and very good. It is apparently based on real events. The story concerns a young Buddhist priest in training who becomes obsessed with The Golden Temple where he is partially raised and trained. The story is clearly brilliant and I preferred it to The Sound of the Waves. I struggled with it a bit, in part because of the cultural gap and in part because my knowledge of Zen Buddhism's nuances is not nearly complete enough. However, I think that the meaning of the story is probably pretty elusive, even for those without those difficulties. Much of the story deals with arguments and philosophical points that are perversions of Zen Buddhism. However, the story is much more than an account of a disturbed individual. It has a great deal to say about beauty and purpose. It also is constantly disconcerting surprising and strange. The story telling is very matter of fact and less poetical than some Japanese novels, including Mishima's The Sound of the Waves. It's pretty clearly a masterpiece, although much of it is quite baffling and it is often hard to develop a stance and an attitude toward reading it. That's clearly on purpose. A very good book. This is an excellent book. It was written in the 1950's but is set primarily during the Italian unification of the 1860's. It is about the end of the old Italian way of life, and in particular of the traditional Sicilian aristocracy. It would be tempting to claim that it is a eulogy for that way of life, but that's not really so. It takes a deeply empathetic look at that life warts and all. It's not interested in the new Italy, but remains focused on the old. 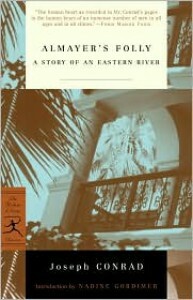 The characterization is marvellous and the book focuses on a few defined occasions and incidents. It has a wonderful power of observation and the language is smooth and flowing. It's also very subtle and clever. A great book that more than lives up to its reputation. 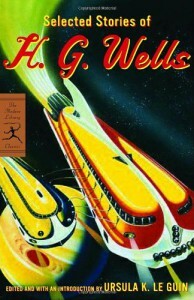 This collection of H. G. Wells is edited by Ursula K. Le Gin and as one would expect it is a great collection and her introductions to the book and its selections are very insightful. The stories themselves are excellent. What surprised me was how many of the stories have vision as a motif. Well's is obsessed with the act of looking and in particular in looking in a new way that reveals the world as it really is. However, his stories thoroughly explore the good and bad points of this, until they climax in what is probably the best story of the collection: The Country of the Blind. It has two endings, the first which is good and a later very different and even better ending. Many of the stories are actually quite predictive. Other stories in a few pages introduce ideas that have been explored over and over again. Yet other stories remind me of Lovecraft shorn of his cosmic horror. Perhaps that's because Wells writes over and over again from a quasi journalistic rational reasonable stance. Overall, the collection is constantly fascinating and his genius is on continuous display. Well's is for me the greatest of all Science Fiction writers. Wells is vastly inventive, interested in problematic situations and ideas, able to write a good character and good dialogue. He is to me, the greatest of the science fiction authors and as a good as claim as anyone to inventing the genre. This collection just reconfirms that opinion. This is Conrad's first book and it sets the stage for what is to follow. The setting, themes, description, characterization and plotting are all archetypal Conrad. It is assured with a very complex structure and one an hardly believe that Conrad came out of the gate both this original and developed. It's not his best work, but it certainly is very good. It explores the contradictions in colonialism in a real way and also has the kind of delusional lost hero that Conrad can make compelling in a way that almost nobody else can. Good stuff. There are two things to discuss about this book. The first, is the Venusian landscape and the second is the religious elements to the book. The landscape is a wonderful piece of surrealistic planet design. It's far superior to Lewis very good Mars and is set in an ocean with very few bits of fixed land and lovely exotic landscapes. It is really excellent and beautiful. The second is the religious elements. It is easy to describe this as a retelling or analogy of the Fall story. That's not quite true, as the story deliberately parallels the Fall story only in parts and diverges from it in other parts. So an alternate story similar to but in the end different is presented as part of Lewis' rather complex religious beliefs. He actually takes seriously the idea, that the Christian story is unique with a creator who has created multiple worlds with intelligent species and tries to reconcile that while articulating Christian Theology and exploring the nature of good and evil within that. That's all very bold and quite a task for a novel, but it is only partially successful. I'm not sure that I find his religious positions all that compelling, and his value system does not match with my own. The book, however, has a great Satan in it. The main character Ransom, who is an idealized ordinary Christian is problematic and his Eve is no great shakes with misogynists attitudes more on display here than elsewhere. Overall the book is remarkably ambitious. It is more a work of theology than perhaps any other novel I have read. It's landscapes and Satan are great, but it sort of fails to work in the end. I have mixed feelings about it. I am slowly moving my way into the most obscure bits of Shakespeare. Is Henry VI a great bit of art. Nope. It's most interesting as a work in Shakespeare's oeuvre. It deals with a complex and contradictory bit of history and covers the period of time that Joan of Arc was active. However, the Joan of Arc story is only one of those stories in this complex and contradictory piece of history. This period of time is more suited to the soap opera than the discrete narrative arc and perhaps that is why Shakespeare wrote three plays on the subject, but it's still not a promising one. Shakespeare as everyone knows did not write plots very often but instead stole them from history and from other artists for the most art. Here he does not have stealing down quite yet. The story has some good scenes and no bad scenes. The main popular criticisms are that it is misogynistic in its treatment of Joan of Arc. I feel really done with these kind of criticisms of the writings of other times and other cultures, because they strike me as just a way for people to make themselves feel superior and add nothing. The lack of shape of the play is its main problem. The writing of the play is robust but not beautiful, so its good writing but not great writing. 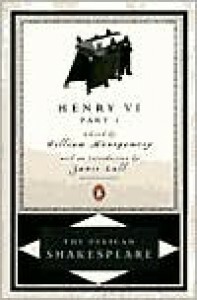 In other words, Henry VI is a play to read for those who have read most of Shakespeare and is interesting in its development of his artistry and for this reason its worth reading. 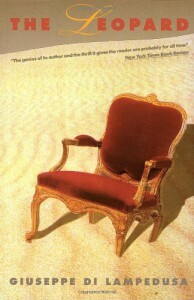 It is in no ways a bad play, but it lasts because of its author and its interest is because of its author. A very interesting story and one that indeed does turn out to be better than the other ones by Burroughs that I have read and I am a fan of Burroughs. To get it out of the way, as one would expect for a pulp novel set in Africa written before the outbreak of World War I, there is lots of racism however a reasonable reader can hopefully look beyond this and see the great merits of the book. It has a great story arc, ending on a cliff hanger, which is standard for Burroughs. 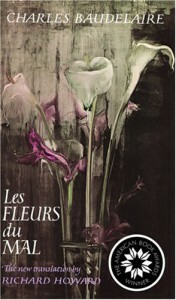 It is structured very well and has only a fight scene once every ten to twenty pages which is restrained for Burroughs. 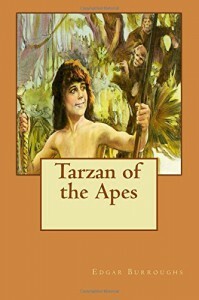 It is the character of Tarzan, himself that makes the book. Burroughs explicitly considers him an ideal man. He is not, however, treated as a normal noble savage, but instead is depicted as a Wild Beast who implicitly contains the instinct of the English gentleman and the wild beast and is distinguished by a greater degree of savagery and by reason from the beasts of the jungle. It's an original and compelling, even startling and unsettling ideal which has never been remotely captured by any of the adaptations I've seen. Interestingly the first third or so, is quite reminiscent of the Mowgli sections of the Jungle Book. Overall, very good and confirms my belief that Burroughs was one of the true masters of Pulp fiction. 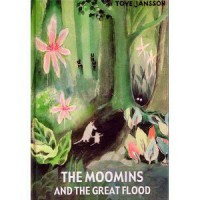 This is the first ever Moomin book. It is also the last of Tove Jannson's Moomin works that I have read (I haven't read all of her brother Lars version of the comic strip). It's also the worst of the Moomin works, but saying that being the worst Moomin work is not exactly saying it is terrible. It is good and prefigures the masterpieces that are to come. I have held, for almost the last thirty years, that Tove Jannson is by far the greatest of all Children's books authors. To some degree this work is for those who agree with me or who are very close to agreeing with me. It is for Moomin completests only. For anyone new to the Moomins, I would recommend starting with Comet in Moominland, which is the immediate successor to this work. In what follows, I am going to presume a familiarity with all things Moomin. This work is very much a proto-moomin work. Most noticeably the Moomin snouts are drawn thinner and the Moomins don't resemble the white hippos that they later did. Sniff appears in it, referred to as "the little creature". The plot is essentially a picaresque adventure with Moomintroll and Moominmamma trying to locate Moominpappa and having many adventures along the way. The writing is influenced by Hans Christian Anderson and the feelings of wonder and of anxiety and dread are there in spades. The writing is not as sophisticated and incidents and characters are not as finely drawn as the later work. It is more straightforward and less subtle than anything that would follow. 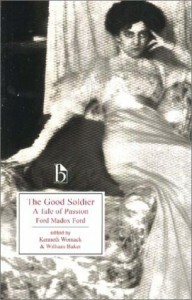 The book itself was began in 1939 and then completed and published in 1945. I have always thought that World War II and the Finnish experience in it lurks unspoken behind the Moomin novels and picture books. Here the sense of anxiety is almost relentless, and nature, as it so often does, is both beautiful but strange and sinister. That is compounded by the fact that the Moomins are represented as considerably smaller than they are in later works. They are about 4 inches high, although this is not consistent. The art in the book lacks the expressiveness of the later Moomin illustrations, but there are some absolutely beautiful illustrations. In particular the Sepia toned landscapes show all of Tove Jannson's genius. Many of the incidents are clever, but they are more influenced by fairy tales than would be true later. This book was out of print for a very long time and that's because its the weakest, but it is still a very good work and enjoyable. It is also a must have for any moomin-fanatic to understand where Moomin Valley comes from and the evolution of Tove Jannson's genius. This is the last of the Hyperion Cantos and I am just going to assume that anyone reading this review has read the previous three novels. If you haven't go and read Hyperion, because it is really very good. This is the fourth and final book in the series. The strength of the books has never been in the plotting and this book has stronger plot holes than the others. In particular, Simmons revises several established facts and in a book that condemns the whole idea of institutionalized resurrection brings far too many characters back from the dead. Furthermore, as the series has progressed it has become more and more about religion and this book, which revolves around a messiah's preaching is the most religious of all. The reason that is a problem is that while Science Fiction writers often write about religion they often do so very badly. Simmons isn't bad. He has a good knowledge of comparative religion and Roman Catholicism in particular, but he is not tremendously wise about religion. All these faults have gone through the series to some degree after the original Hyperion. However, the strengths of the series continue. Simmons work is informed by literature, something which is very rare for American Science Fiction writers, so the quality of the prose is very good. Furthermore, his characterization is adequate, which might seem like damning with faint praise, but many Science Fiction writers are abysmal at characterization and Simmons is not. His action scenes are quite good and in its space opera elements it is quite good. However, there are two things which Simmons has always excelled in in the Hyperion Cantos and they are the creation of The Shrike who is the best monster in literature if you ask me and in the creation of surrealistic landscapes. 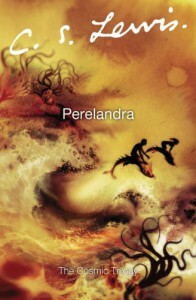 I don't want to ruin the surrealistic landscapes in this book, but they are just as good as ever and to me, it is a defensible view that the Hyperion Cantos contains the best surrealistic landscapes in all of literature. They are good and clever, endlessly different, vivid and compelling. 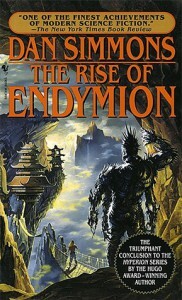 Hyperion is one of the best Science Fiction books written. The reason to keep reading is those landscapes. The Hyperion Cantos is in many ways like the original Dune Trilogy, which is informed by literature, has surrealistic landscapes, is set in the far future and revolves around religion and a messiah figure. For me, the Hyperion Cantos is superior in every way to its more famous literary cousin. The whole Cantos is well worth reading. 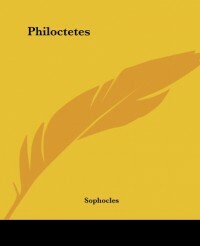 Philoctetes is the last extant play of Sophocles that I have read and for some reason that I cannot put my finger on my least favorite. The play concerns Odysseus and Neoptolemus, the son of Achilles, travel to Lemnos to recover the bow of Heracles from Philoctetes without which they cannot win the Trojan war. Philoctetes has been marooned on Lemnos because he was bitten by a snake and his cries of pain and the smell of the festering wound were intolerable to his fellow Greeks. In particular, it was Odysseus who tricked Philoctetes into being marooned and he has led a ten year long miserable existence as a result. Quite reasonably Philoctetes hates the Greeks and Odysseus in particular. Odysseus at the beginning of the play talks Neoptolemus into tricking Philoctetes into giving him the bow. After an attack of conscience, Neoptolemus gives back the bow and agrees to save Philoctetes, even though it will mean war with his fellow Greeks. At the very end of the play, the divine and dead Heracles intercedes to convince Philoctetes to return to Troy with the bow. A few things stand out about the play. First and foremost, it is not a Greek Tragedy in the conventional sense, for one because it has a happy ending. It is also entirely unusual in that the action centres around Neoptolemus, who does something wrong, but then redeems himself and everything turns out all right. That is not a very Greek storyline, although in our Christian world it is a familiar one. Stories of redemption are just not very Greek and what we have here is something strikingly modern. In addition, Philoctetes is a remarkably well drawn character. In absolute agony, he is often torn between his desire to escape his exile and his hatred of Odysseus and this makes him prone to sudden and very realistic shifts of purpose. The language is also remarkable as is the scene setting which is exceptional. One can smell the sea salt, feel the wind and hear the cries of the sea birds on every page. Given all of this I'm not sure why Philoctetes did not grab me more. Partially, it is that the intervention of the divine Heracles is a full fledged Deus Ex Machina moment and an entirely unnecessary one at that, because the action is on the edge of resolving itself and could have been done psychologically. But there is just something about the play which is not as compelling as Sophocles' other works, even though I cannot identify what it is. Having said all that, it is still an excellent play and one that stands out from regular Greek drama. This is probably considered the worst play be Sophocles to come down to us and while I have still one more play to read by Sophocles this is my favorite so far. It is structured in a bizarre way revolving around Deianeira for the first three-quarters of the play and then around her husband Hercules for the last part. Deianeira is waiting for her husband to return home with an increasing mix of hope and dread foreboding. She becomes more and more concerned. Then she learns that a new beautiful slave is a concubine that Hercules went to war for. Concerned to make him love her she casts a love spell, based on the advice of a dead centaur but it is literally a powerful curse. Deianeira then kills herself, Hercules then finally shows up dying in agony and in a rage and orders his son to burn him alive in a funeral pyre and forces his son to agree to marry the concubine to his sons horror. It is basically two tragedies rolled together into one. It is also has a feeling of rising dread and horror that is rarely found in theatre. It has a sense of being sucked down into a whirlpool that leads to hell, which is inferior only to King Lear. Both Deianeira and Hercules are completely controlled by their passions and the world seems irrational and cruel. It lives up to the stereotype of Greek drama in its entirety. Its a great play and of Greek theatre I only prefer the Bacchae and Lysistrata. 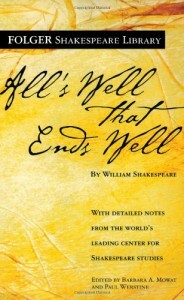 All's Well that Ends Well is a startling play and Shakespeare at close to his most experimental. It is closely related to Measure for Measure, but I think it is a better and more complex play than that. It is another example, one of many, of Shakespeare undermining the conventions of comedy and while it seems light and breezy on the surface it is a bitter little pill in the end. The play has Helena a virtuous and lovely woman but of a middle class background fall in love with Bertram a shallow, womanizing, warmongering cad. By saving the King's life Helena gets her wish of being married to Bertram but he immediately runs away and the rest of the play concerns Helena's trick to get him back, while Bertram is busy trying to take the maidenhead of virgins. Like Measure for Measure the politics of virginity are never far away. However, unlike Measure for Measure the "happy" ending is even more radically undermined while strictly adhering to the conventions of comedy. Bertram and Helena end up together, but Bertram has proved himself so worthless that one cannot see it as happy. Shakespeare even goes so far as to put the title of the play in Helena's mouth twice emphasizing its ironic aspect. Like As You Like It the play has many funny moments and is within the conventions of a comedy while satirizing it. Unlike As You Like It he gives the play an unstable ending. I haven't mentioned Parolles who is the conventional scoundrel friend of the hero that we find so often in Shakespeare. He's one of the better ones being a complete scoundrel and when we laugh at him we are uncomfortable because his villainy is more concrete. All's Well That Ends Well is often now considered one of the "Problem" plays because it does not fit neatly into the conventions of comedy. I have a bit of a problem with that label, because I think there are more of the Comedies that either undermine the conventions of comedy or that hijack them for a more complex purpose. Basically, Shakespeare wrote a straight ahead comedy in The Comedy of Errors and spent the rest of his time playing with or undermining the genre. I also think that the play is also an attack on social class. It has a speech assaulting class roles put into the King of France's mouth of all people. That aspect is very surprising. Those kinds of topics were always things that I thought that Shakespeare had no interest in. All's Well That End's Well is better than its reputation would suggest. Its a play with great dialogue but designed to lull the audience in and then unsettle them while making them laugh. I would certainly put it in the top half of Shakespeare's plays, bitter little pill that it is. It is interesting reading Electra where the subject matter was also treated by Aeschylus and Euripides. I haven't read Euripides treatment, but I think I preferred Aeschylus treatment, because his way of writing is so overwrought and it suits the subject matter better. None the less Sophocles treatment is good and dramatic. The end of the play has a good shocking and bloody climax. The writing itself is memorable. Having said that, I'm not sure the play is all that sophisticated in its ideas. There is no real interrogation of the myth. The modern reader is liable to think that Clytemnestra is not so evil in killing her husband because he killed her daughter, and the distinction made by the Greeks that Agamemnon's murder is at most unfortunate whereas Clytemnestra's is monstrous is liable to seem hypocritical at best, although for the Greek's both the fact that Artemis demanded Agamemnon sacrifice his daughter, and there patriarchal society make the difference. 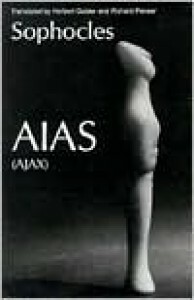 The real interest in the play is directly tied to the fact that the Greeks were a patriarchal society. Electra focuses on the character of Electra who is a strong and fascinating woman driven by a demand for justice, her sister and mother and the chorus are also women, so the play is female dominated. Electra herself gets far more lines than any of the other characters. The Greeks were to a surprising degree extremely patriarchal and are on the extreme of there patriarchal tendencies for the ancient Mediterranean world. Despite this, in Greek theatre we see again and plays with major female characters who are powerful and wilful. Electra is not the best example of this, but it is a good one and her character is fascinating. From Greek history, one would think that the Greeks had only one gender, but here in there theatre we see powerful Greek women come to life. 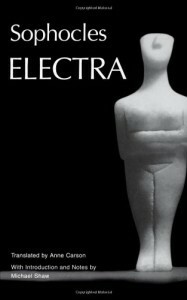 I like Electra but perhaps not as much as I am meant to. I would say its probably my least favorite play by Sophocles so far, and amongst my least favorite of Greek theatre. This play by Sophocles is about the circumstances surrounding Ajax's death towards the end of the Trojan war. It has a strange structure to a modern reader. We take up the action in a conversation between Odysseus and Athena, after Odysseus is trailing the man who has killed all the Greek cattle and sheep. Athena reveals that this is Ajax, who in rage over Odysseus being awarded Achilles armor has set out to slaughter all the Greeks. However, Athena made him mad and he delusionally killed or tortured all the live stock. To cut this summary short, Ajax later comes to his senses goes off and kills himself with Hector's sword and then there is a long debate about whether the body should be buried or left to rot and be eaten by wild animals. This is the kind of plot line that only the Greeks would come up with. In fact, I think that Ajax is a pretty good play. While definitely not amongst the best of surviving Greek plays, all surviving Greek plays are pretty good. It has a lot of stirring scenes and surprisingly an on stage suicide. It would be fascinating to see a modern staging of Ajax because it would present so many challenges. 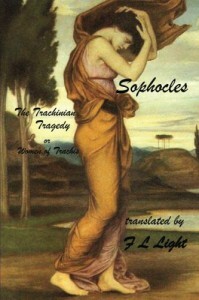 The version I read was a verse translation and the writing is good and the characterization about average for Sophocles. The major drawback to the play is that it is so incredibly Greek. At this point, I have read so much by the ancient Greeks and so much about the ancient Greeks that I feel that I know their culture decently well. 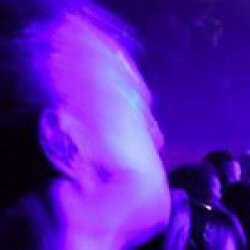 However, to someone not familiar with it, much of the play would be unfathomable. The relationship to the Goddess Athena, the factious fighting over trivial things by the Greek allies and most of all ending the whole emotionally over-wrought play in an extended discussion of the appropriate way to bury Ajax's body are difficult places to start. In fact, the point of the play is most of all the debate about the burial. In that debate we see two very typical Greek ideas. First, we see the idea that a persons life cannot be judged until after their life, where the whole of that life is taken into consideration. Odysseus, Ajax's later enemy and the symbol hear of a cunning-wisdom argues that while, Ajax did just try to murder him, taking his life as a whole he was noble. Very Greek idea. Furthermore, by burying him a potential cycle of offending the Gods can be avoided, so we don't end up with the kind of reprisals and counter-reprisals that we see in Sophocles' Argos cycle of plays. Also a very Greek idea. The whole thing is very Greek in general, and very Sophoclean in particular, but a poor place to start for someone starting out with Greek Theatre.